Many of the casinos in the United Kingdom are fairly new. Since the Labour Party abandoned their plans to set up ‘super-casinos’ all over the country, smaller casinos have been cropping up in most city centres, with a mixture of chains and independently owned establishments. 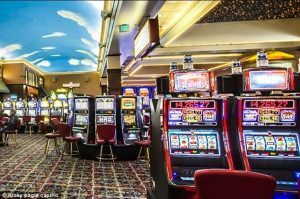 Although many gamblers prefer the newer casinos, there remain a few old-school casinos that are still worth a visit. Crockford’s in London was established in 1823 as Crockford’s Gentlemen’s Club, and boasted some of the best chefs in the world, as well as free drinks after midnight for members and a mix of frequenters from members of the British Army to members of Parliament! Re-invented in the 1920s as a Bridge Club and having added blackjack, poker and roulette to the list of entertainment for guests, Crockford’s quickly gained notoriety as one of the best and most exclusive casinos in town. There is a strict dress code in place at Crockford’s; men must wear a suit or a tuxedo and women must wear cocktail dresses or long evening gowns. In addition to dress codes, there are many other best practices, which makes it helpful to read the latest guide to online casino to help you get up to date. Located in London’s bustling, central Leicester Square, in the same building as the equally historic Empire Cinema, the Empire Casino opened in 1884. Though the casino has been re-furbished over the years, the building hasn’t suffered that many changes, and maintains it’s grand and exclusive atmosphere. Open twenty four hours a day, seven days a week, the 55,000 square foot establishment plays host to a range of celebrity faces, and is extremely busy at the weekend, though that is no surprise. Once a world famous theatre and concert hall, The Hippodrome in Westminster was re-opened as a casino in 2012, but its history remains impressive. With the likes of Ella Fitzgerald, The Jackson 5 and Liza Minelli having graced its former stage, the atmosphere at The Hippodrome has stayed just as fun and jazzy as in its former life.